EPiC Contracting is a full service residential renovation company based out of Calgary, Alberta. They focus on kitchen, bathroom, and basement renovations as well as residential and commercial painting. Their goal is provide all of their clients with a positive experience and deliver a stunning renovation finished on time and on budget. They have a dedicated team of professionals who are experts in their fields and work diligently to bring your project to life. We enjoyed working with EPiC Contracting Ltd. to design and build their new website in time for the Calgary Home Show which was in mid-September, 2018. Their new website better reflects the services they focus on as well as the quality of their work. 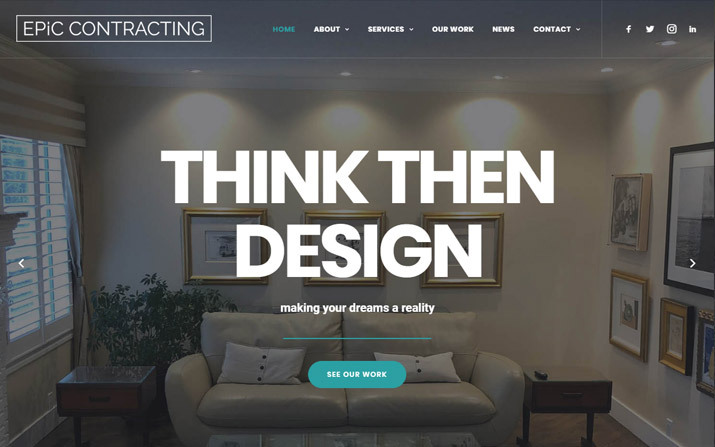 You can learn more about how we helped them in Our Work section, or check out their new website here: www.epiccontractingltd.com.